3 his conversation with Ms. Millard on that day. 5 at the time? As far as I'm concerned you waived that. 8 questions for Mr. Canada. 9 		THE COURT: Counsel, cross. 18 it is just so we can clarify the record. 19 		THE COURT: Go ahead. Next in order is what? 23 Exhibit 3, did you see anybody post it on your door? 24 	A. Yes. Bonita Millard did. 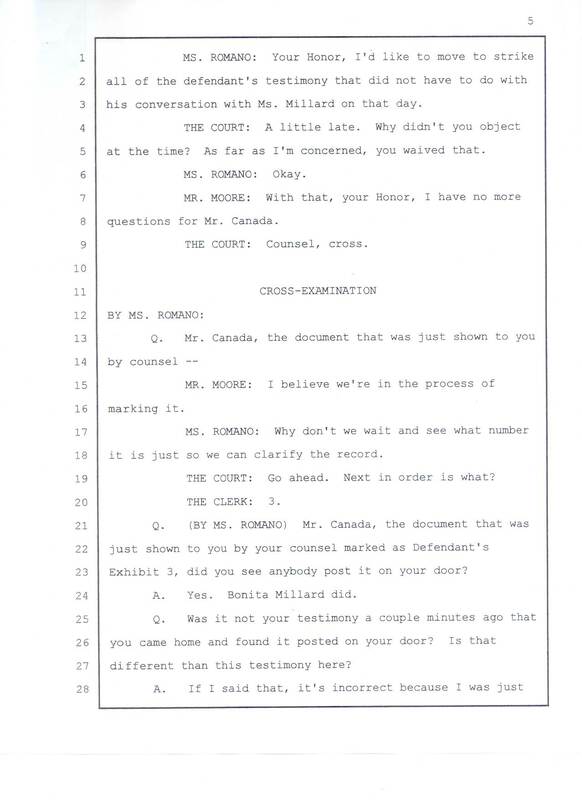 27 different than this testimony here?